We all know Dhoni has an amazing persona both on and off field. He is a very popular celebrity in Chennai and on account of his birthday, we have come up with a fantasy idea to know, what title will Dhoni choose if he decides to debut in Tamil Cinema. We present you 10 Mass titles, Comment your favourite. It is 8 superstars for AR Murugadoss and still counting ! What if GVM movie titles were in English ? Confirmed: Vijay’s blockbuster movie Theri TV- premiere is on…. 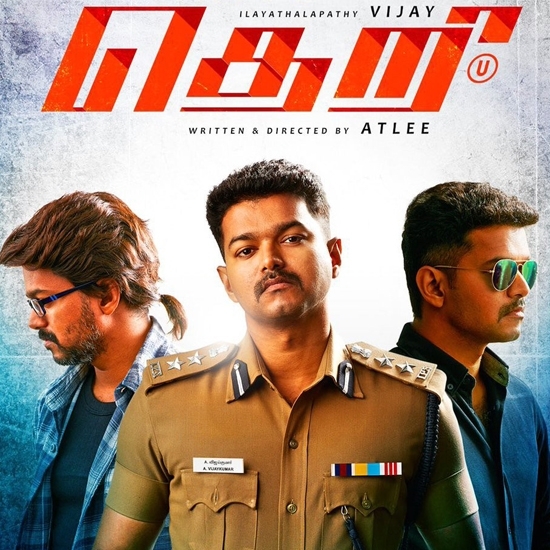 Listen: Theri OST is officially out! Exclusive: A special surprise treat for Vijay fans even before his birthday! Massive: How huge is Baahubali's 25th day?! Final Verdict: Ilayathalapathy Vijay wins! This page hosts a weekly slideshow related to Tamil movies. Each slide includes a picture and some description about that picture. All the slides will have a recurring theme. People looking for actress stills, actress images, actor stills, actor images, movie stills, movie images, and other interesting topics, relevant issues in Tamil cinema will find this page useful. Theri Dhoni | 10 Mersal Titles For MSD.